Thomas Earl Newhart, born May 19, 1928, Reedy, West Virginia, died November 10, 2018, Altoona, Florida. Predeceased by his wife, Josephine (Pat) Newhart; mother, Della Mae Beach Newhart; father, Jacob Thomas Newhart; two brothers, Charles Robert Newhart and Ronald Eugene Newhart; three sisters, Idonia Pearl Newhart, Helen Gae Cottrill and Irene Elizabeth Labriola. He is survived by five nephews and four nieces. Tom was a graduate of Parkersburg High School, Parkersburg, West Virginia; a graduate of Kent State University, Kent, Ohio; and he was a Korean War Veteran. After the war he worked as an industrial engineer. Tom and his wife had a small farm in Rootstown, Ohio, enjoying growing their own fruits and vegetables until eventually retiring to Lake Wales, Florida and later moving to Arlington Ridge in Leesburg, Florida. 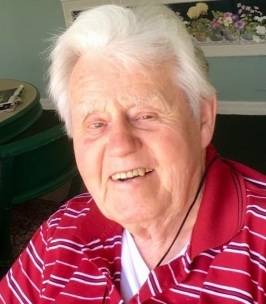 After his wife’s death, Tom moved to Lake View Terrace, Altoona, Florida, where he became involved with the Courtyard Garden, the Community Garden, and continued his interest in bees, including giving a lecture on beekeeping. Burial will be at Sunset Hills Burial Park, Canton, Ohio. A memorial service will be held at Lake View Terrace, Altoona, Florida, with date pending. To send flowers to the family of Thomas Earl "Tom" Newhart, please visit our Heartfelt Sympathies Store.